Thanks to our homeboy SingerDread from the super world famous ThinkTank for this rad review of Crack Jon. Greetings all, I’m SingerDread, a new name here at HHLAT. I’m a rapper, producer, writer and lover of all things Hip Hop (and the other half of ThinkTank mate, gosh you just don’t know how to promote do you? – Aimee). So when I was given the oppotunity to write a review for the amazing guys and gal at HHLAT, I obviously bit their hand off at the chance. My first assignment: a High Focus release, Cracker Jon and 2Late – Can Take The Cracker Out Of Croydon. 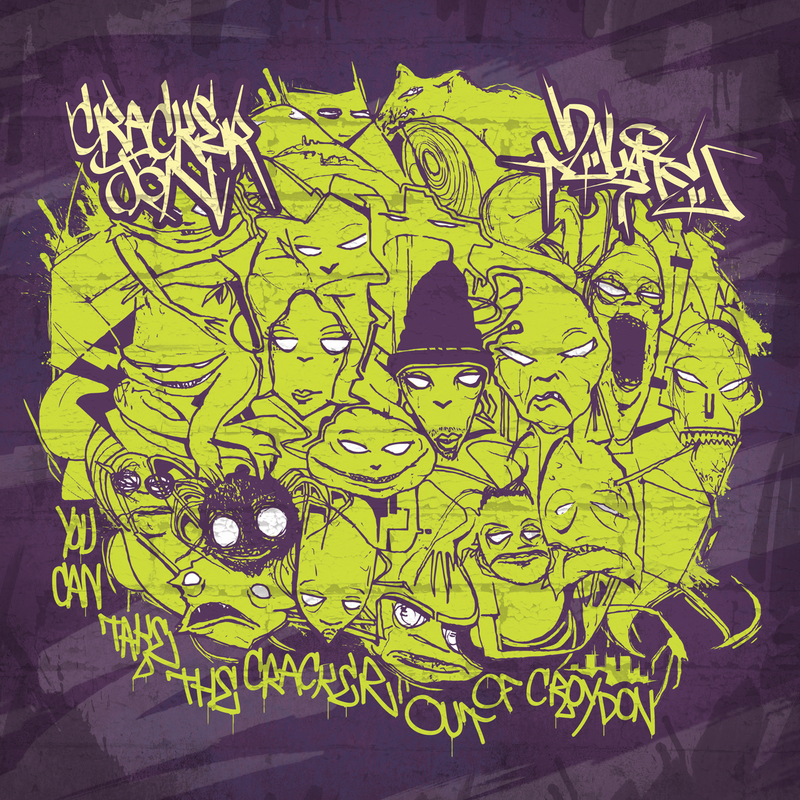 After smashing the festival circuit and live shows touring with Verb T and Fliptrix, This is the debut album from Cracker Jon aNd 2Late. The album is Cracker Jon rapping you his story of life in Croydon set to the beautifully crafted soundtrack produced by 2Late. Cracker’s old-school rhyming style suits perfectly with 2Late’s style of production. A match made in…..Croydon? maybe, but definitely sometime back in the early 90s! This album is for the more dedicated Hip Hop listener but I’m sure I can safely assume that if you are a regular reader of HHLAT, you are exactly that. The skits on this album are perfect, and create the imagery and humour that are all over this album. Production value overall I give it 10/10 or 5 mics or discs or…..anyway it’s just very good. Another great thing about this album is the features. Everyone who features fully goes in, so I’ll list them all so as not to leave anyone out, and what a list…..
Sly Moon, Dubbul O, Smellington Piff, Eric Da Red, Dirty Dike, Lee Scott, Fliptrix, Leaf Dogg, Datkid and Strange Neighbour. All the cuts were by DJ Sammy B-side apart from one track featuring DJ Almighty. My first review is nearly over and what more can I really say? Great rapping, awesome production, a decent amount of decent features, and all topped off with some nice artwork. Produced by the fantastic 2Late.